The housing plan consists of 48 different types of houses for all ages. From starters, people living alone, families to the elderly. The complex is designed in an architectural style with a lot of attention to the transitions public-private. For the construction, click here. 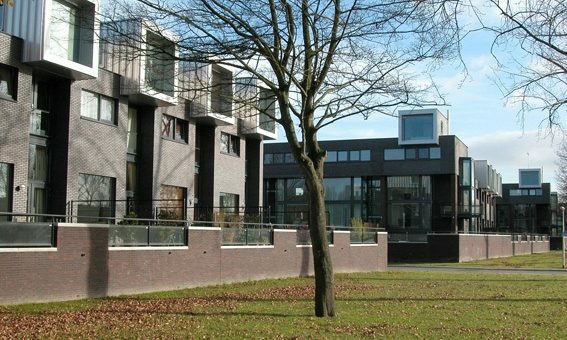 HSV Duno in The Hague has a new building and is next to football activities also designed to act as a community center for the future with multiple features. The cafeteria is the “living room” and exudes a grand cafe-like atmosphere and is spacious enough to accommodate 250 people! The Royal Housing Association of The Hague from 1854, the oldest existing private housing association in the Netherlands, purchased the property from Municipality of The Hague in order to rebuild the building for singles with socially relevant professions, such as police, medical, education, art. “St. Nicolaashof is a care center consisting of a nursing section and rental apartments. There are another 96 sheltered housing in the vicinity of this establishment. The city of Timisoara is located in the north-west of Romania, close the Hungarian and Serbian border. It is a multicultural city with strong historical ties to the Schwalbe country in Germany. A large university is located in this city and it is the place where the uprising started in 1989. As in so many municipalities, some churches are merged into one building, also like the ones in s-`Gravenzande. In this case, there are two churches sold by the reformed municipality and the profit therefrom is being used for the rebuilding of a multifunctional centre, where is a church space too. 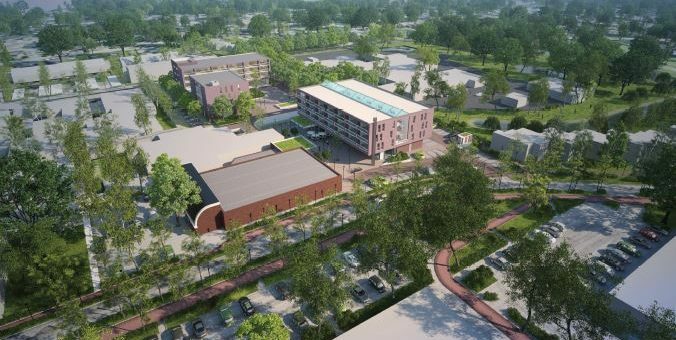 The project de Open Waard in Oud Beijerland contains a care center, a medical center, apartments, a supermarket and shops with parking garage. It consists two phases and the construction of the first phase will start in September 2016. Courthouse for court, prosecutor and Council of Child Breda with Kada-Wittfeld. The Tian Mu Mountain valley is located in the mountains not far away from Shanghai in China. Its an area were tourism developments are expanding and the need of facilities is great. The national monument Alexanderstraat 1 in The Hague, we have been made suitable for the Bank Insinger de Beaufort. This office building, originally built as a private residence, dates from 1854 and designed in an eclectic style with rich detailing. 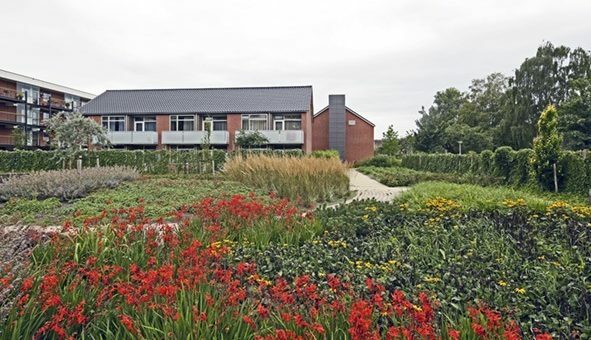 Two-bedroom houses with garden as alternatives in Lelystad. The plots were too thin for a traditional two-bedroom house. The restriction leads to this special houses. Commissioned by the municipality of The Hague, we have designed and prepared the renovation / restoration for the so-called Spuiwand, the properties on the Kranenburgstraat, Amsterdamse Veerkade and Stationsstraat. Redevelopment De Ganskuijl in Amersfoort started, De Ganskuijl is a ’50s district with a characteristic buildings of that time and designed by the architect Zuiderhoek.